Devoted to developing helium resources. Helium is a very rare, clean and inert gas, being an irreplaceable element without substitute which cannot be synthesized or manufactured. Helium is a vital resource in North America and is used throughout the science, medicine and manufacturing industries. For many companies, it is a critical component in the manufacturing process, specifically ones which serve unique high-tech applications in MRIs and semiconductor chip manufacturing. The United States is currently the largest producer of helium in the world representing 41% of total demand. The primary global resource of helium is rapidly declining with a forecast of depletion by 2021. This has sparked an urgent requirement to secure a new sources of helium to ensure sustainability of this resource into the future. Weil Group Resources, LLC, headquartered in Richmond, Virginia, was founded by international and energy sector executives devoted to the exploration, development and production of untapped energy and commodity assets. Focused on underdeveloped resources in global energy and other resource projects, Weil Group is active in the Northwest United States and Canada and has had prior projects in Colombia, South America and throughout the Philippine archipelago. Weil Group’s knowledge of oil and gas exploration and production, reservoir, well drilling and testing together with its project management and field and mid-stream operating experience, inspired the development of a successful helium exploration and production program. With active projects in both the United States and Canada, Weil Group is producing high grade helium and continues to expand its multiple BCF helium reserves. Our mission is to pioneer in the exploration, development and production of untapped energy and commodity assets, discerning value overlooked by others. 3D analysis of underground reservoir structures and intricate algorithmic analysis of reserves. Mining operations and the safe execution of mining activities with extensive geotechnical, operational, drilling, grading and testing experience. Operational execution of industrial grade helium reserves through a comprehensive exploration model. Seismic testing and acquisition improving subsurface imaging, increasing operational efficiency and reducing costs. Jeff Vogt is the CEO and founder of Weil Group. In his 25 year career, Jeff has gained international experience in industrial, resource-based, environmental technology and public/private sectors, focusing on foreign markets entry, joint ventures and creating value through collaboration. As former head of the international business division for ESP (Envirotest/Environmental Systems Products) Jeff negotiated technology agreements and joint ventures in China, Japan, Brazil, Argentina, Costa Rica, Egypt, Sri Lanka, Turkey and India. His strong strategic focus, technical aptitude and collaborative approach have played critical roles in his development of manufacturing subsidiaries in China and India, in working with partners in the Philippines to establish a successful nickel mining and smelting concern, and bringing life to oil fields with partners in Colombia. Early in his career, Jeff served on the White House staff as a special assistant to President George H. W. Bush for business, trade and economic policy. 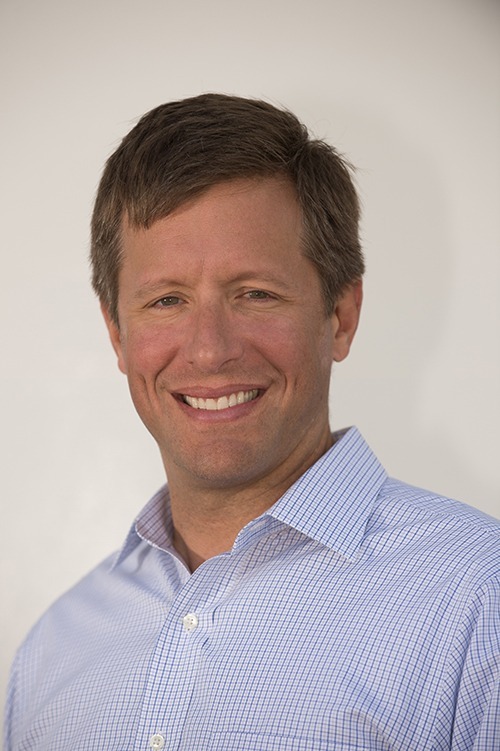 As a trustee for the Vogt Foundation, Jeff is passionate about assisting disabled and disadvantaged youth and improving inner-city education access. He assists many non-profit organizations with their fund raising efforts. Jeff holds an MBA from Kellogg Northwestern University School of Management and Hong Kong University of Science and Technology, and a B.A. from Colby College. Scott Cardozo is CFO at Weil Group. 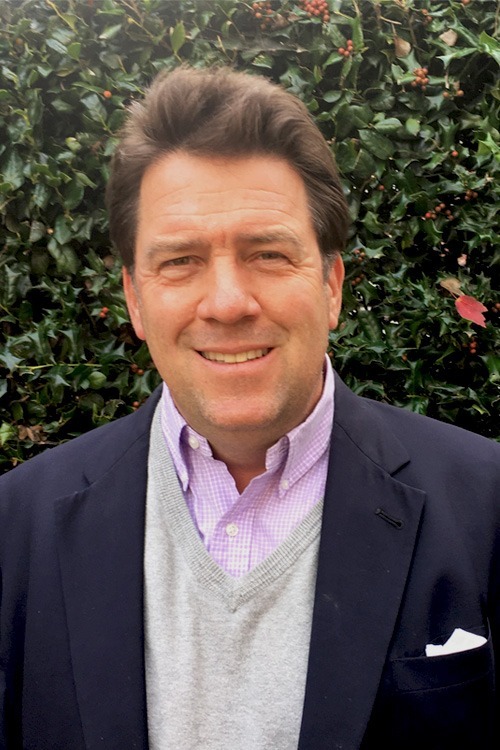 He brings vast experience as a senior executive in investment banking and finance at Scott & Stringfellow/BB&T Capital Markets, as well as hands-on experience as Chief Executive for business operations, ranging from tax preparation to medical devices. Scott was an early investor in Weil Group, and has been an active investor and manager in companies in a variety of sectors. His focus and financial acumen have been invaluable during his successful efforts at managing several growth stage and turnaround/restructuring situations, all of which have resulted in profitable exits for investors. Scott currently serves as Board Chair for The Saint Andrews School, a tuition free independent elementary school, for low income children in Richmond, VA. Scott is also a Board Member of the Daily Planet, a Community Healthcare Center providing primary and behavioral health as well as dental and eye care regardless of housing or financial status. Scott holds an MBA from the Darden School at the University of Virginia, as well as a JD from the School of Law. Lewis May is the Executive Vice President of Operations. He has over 40 years of experience in the energy sector, both domestically and internationally, and extensive expertise in joint venture company management. 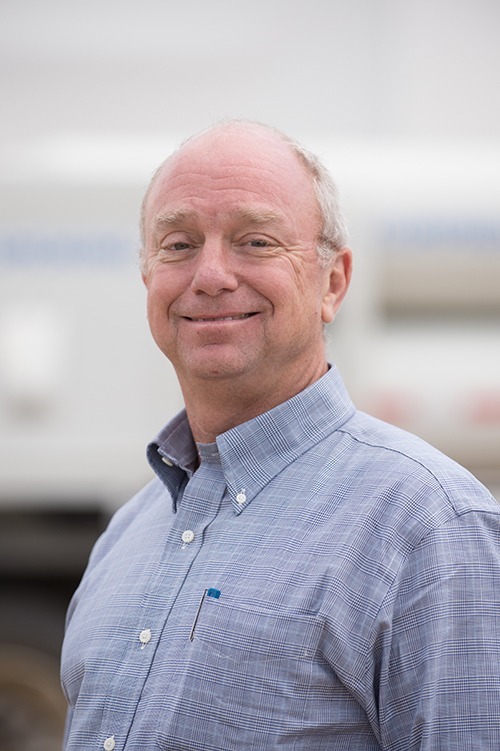 Lewis’ experience has been in project development, execution, operations, and commercial management in chemical plants, refineries, pipelines and related transportation facilities, and oil production, making him well positioned to head up Weil Group operations. During his 29 year career at Enron, Lewis was involved in the $217 million Centragas pipeline project in Colombia, where he oversaw all facets of pipeline development and operations. 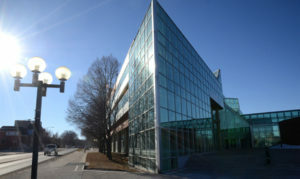 Under Lewis’ supervision, the project was named Project of the Year by PMI (Project Management Institute). While working on the Bolivia – Brazil pipeline, Lewis successfully negotiated construction cost reductions on the Bolivia portion from over $100M to $5M. Lewis holds a Bachelor of Science in Mechanical Engineering and a Masters of Business Administration. Bo Sears is the President of Weil Helium, a subsidiary of Weil Group. Bringing 20 years of oil and gas exploration experience in the US, Bo is a recognized expert in the field of helium resources. With a strong background and expertise in geology, geochemistry and geophysics, coupled with a thorough understanding of helium generation and migration, Bo is a valued team member and critical to the development of Weil’s helium portfolio. During his time at Inter-American Helium Corporation, Bo played a key role in driving organizational investments. 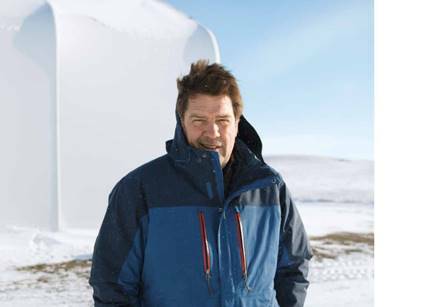 Author of Helium – The Disappearing Element (2015) and contributing author of The Future of Helium as a Natural Resource (2012), Bo is affiliated with the American Association Petroleum Landmen and American Association of Petroleum Geologists. Bo holds an MBA from the University of Dallas. Weil Group’s sustainable vision is to be a collaborative partner in the communities where we operate, to give back, and to enrich lives by protecting the environment. We do this by incorporating the “4-C’s” of community engagement with all stakeholders: communication, cooperation, collaboration and mutual creation. Whether mining and smelting nickel ore in the Philippine islands, developing oil fields in Colombia, or delivering helium resources, a critical industrial commodity, from Canada to the international market, Weil strives to uphold zero impact to the environment. We also look to be a part of communities and instill pride, purpose and prosperity as a direct result from our being there. In Mindanao, Philippines, the Weil Group brought on stream critical new water and plumbing resources to remote villages, provided cash crops to village populations to bring to market for recurring annual revenue resources, and constructed new classrooms for community youth instruction. In Colombia, Weil provided new power sources to communities and computer systems to local youth, allowing for expanded internet and education instruction. In its North American helium pursuits, Weil Group projects feature clean, inert gas it accesses through its drilling activities. We have collaborated with local communities for road improvement, new road construction, and upgraded local government housing. We even sponsor our own local curling team and welding as other classes for local students. Weil Group, a helium producer with Canadian operations, is in talks to build a helium facility in Medicine Hat, Alberta. Jeff Vogt, CEO of Weil Group, joins BNN to give us an idea of what his vision is for this facility and addresses growing concerns about global helium supply. According to a press release issued by the Weil Group Canada, the organization is looking to commission a central helium liquefaction facility in Southern Alberta. The timeframe for the decision is listed as within the next 20 months. The company is based out of Richmond, Virginia, and describes itself as focused on “underdeveloped resources in global energy”. The company’s website describes previous projects in Canada, the United States, Colombia, South America, and in the Philippines. 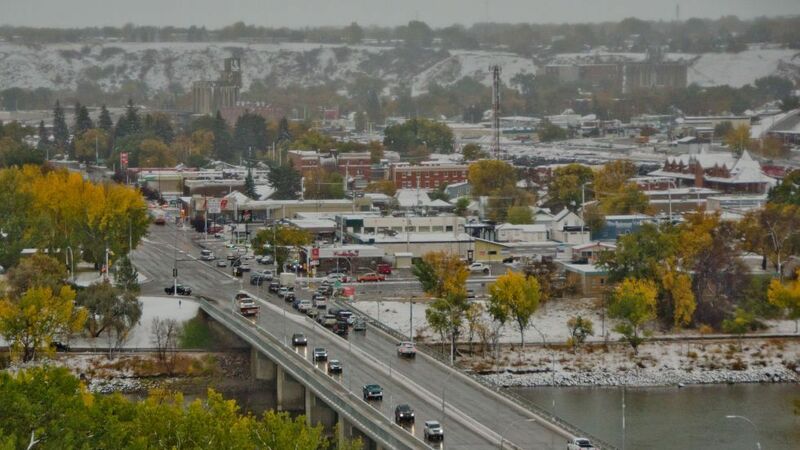 The proposed Medicine Hat facility would be called a “CryoHub” according to the company’s press release, which also states that “extensive discussions” about the idea have been ongoing with the municipal government of Medicine Hat. “The city last month announced that it is undertaking helium exploration as part of its recently expanded drilling program,” said Weil CEO Jeff Vogt, in the release. The company also holds proven helium reserves in Montana, which could link into the planned facility. “Thanks to our forward looking Growth Strategy, we were able to identify this opportunity and are pleased to support the Weil Group’s plans to invest in Medicine Hat,” said Mayor Ted Clugston, who was also quoted in the release. Weil is aiming to bring an additional 200 million cubic feet of helium supply online, with exports sent to the United States, Asia, and Europe, according to their press release. “We envision Medicine Hat as becoming the country’s helium supply hub,” said Vogt, in the notice. The company already has one helium facility in Canada, located in Mankota, Saskatchewan. The end of the release about the Medicine Hat facility states that the company is now waiting on regulations from the Alberta government on helium production. “While Saskatchewan has a regulatory framework for helium production, the Group awaits a similar regulatory framework from the Alberta Government to fully activate its pipeline of helium projects in the region,” reads the release. A plant to compress and concentrate helium for export could be operating in Medicine Hat in 2019, according to a private company actively exploring for the niche industrial commodity in Western Canada. “We want to get rocking and rolling on this thing,” said Jeff Vogt, CEO of the Weil Helium Group, which is in “advanced talks” with the City of Medicine Hat to locate here. Vogt said it will take more than a year for highly specialized equipment, valued at US$15 million, to arrive. The construction phase could employ up to 50 people, though operating the highly automated plant would require only a small staff. Most employment gains would come in trucking the gas from sites in southwest Saskatchewan where last year the company opened a $10-million concentrating facility in Mankato, south of Swift Current. The gas can’t be transported by rail or pipeline. Once compressed into a liquid, the gas would sit at a temperature several hundred degrees below zero, then trucked to ocean ports or to customers elsewhere in North America. The City of Medicine Hat’s own plans to launch a helium drilling program made headlines this fall with administrators saying it could provide revenue as well as draw new local industrial projects, or high-tech industries that require the gas. Officials from Weil and the city stated talks have begun regarding a possible supply agreement from city wells, should they strike the rare gas that naturally forms underground. Vogt said the plant is scalable, and could handle outside suppliers, but the facility could run on the company’s own reserves, which he states are 2 billion cubic feet. The plan is to market 200 million cubic feet per year from a Medicine Hat facility. For the full article including the city drilling update, continue reading here. Read more about Weil in Medicine Hat News here. A plant to compress and concentrate helium for export could be operating in Medicine Hat in 2019, according to a company actively exploring for the niche industrial commodity. 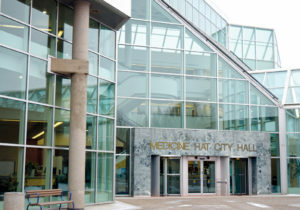 The City of Medicine Hat’s own plans to launch its own helium drilling program made headlines this fall with city administrators saying that it could spur local industrial projects. The Weil Group of Canada announced Wednesday that it hopes to commission a liquefaction plant, known as a cryo-hub, within the next 20 months. It would handle its own production from sites in southwest Saskatchewan, and talks are ongoing to include the possibility of production from the city. 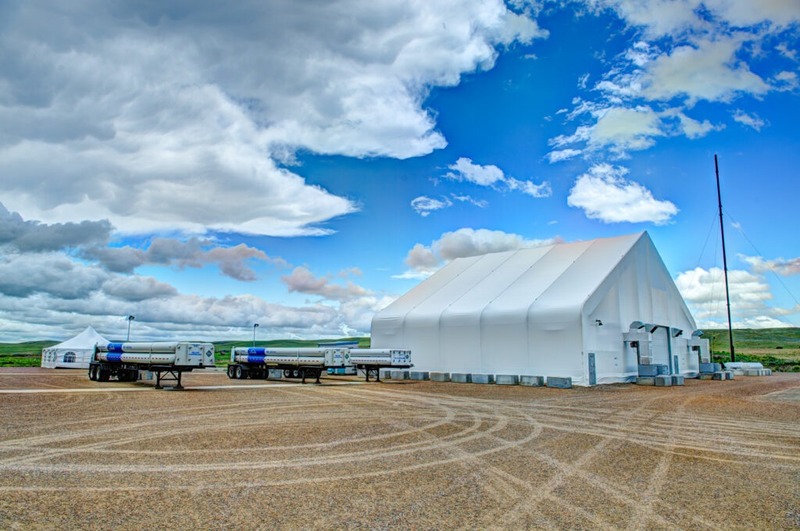 “We have had extensive discussions with Medicine Hat officials to locate our new cryo-hub facility in the city and develop helium resources in the region,” stated Weil CEO Jeff Vogt in a release. Weil Group Canada is a subsidiary of Weil Group Resources, based in Richmond, Virginia, which last year announced a $10-million processing facility in Mankato, Sask., southeast of Swift Current. There was no immediate cost estimate on the cryo-hub facility, but the release states a Medicine Hat facility could be fed by production it has identified in Saskatchewan, as well as any reserves found by the city in the region. City officials welcomed the announcement. “We were able to identify this opportunity and are pleased to support the Weil Group’s plans to invest in Medicine Hat,” said Mayor Ted Clugston in the release. The gas is often thought of as useful for party balloons, but increasingly the inert, extremely stable gas is crucial in modern manufacturing and high-tech industries. The inert gas is captured in drilling similar to traditional natural gas, but is gathered differently since it cannot be readily sent through pipelines. It is often concentrated on site, then shipped for further refining. Because of its particular properties the gas must be compressed and cooled to several hundred degrees below zero so that it can be transported as a liquid. Global prices began to rise several years ago when the U.S. government began selling off a strategic reserve. It is currently about 100 times more valuable than natural gas, but is found in much smaller volumes. Weil states it plans to bring about 2 million cubic feet helium to market annually, possibly for export to the United States, Asia or Europe. 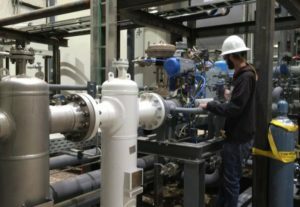 The explorative company which sets out to seek, develop and produce untapped energy, has identified nearly two billion cubic feet of proven reserves of He and is moving to commission a central He liquefaction facility called the CryoHub™ in the city of Medicine Hat, Alberta within the next 20 months. 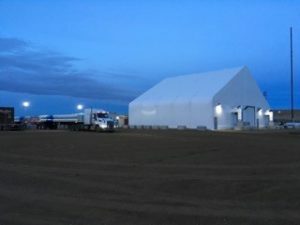 The company has been in discussion with officials from Medicine Hat, to locate its new CryoHub facility in the city and to develop He resources in the region. The proposed facility would be a central hub to receive He production from the company’s other current projects which are located in Alberta and Saskatchewan. Weil was the first company in 60 years to bring commercial grade He on stream in Canada, when it began operations in its Mankota, Saskatchewan He purification facility in early 2016. Weil has been active in Canada since 2012 and has continued extensive exploration and development in search of the increasingly rare element. A Virginia company has opened Canada’s only high-grade helium plant in Saskatchewan. The Exchange on CBC News speaks with Jeff Vogt, CEO of Weil Group Resources. Watch the interview. Weil Group CEO, Jeff Vogt, speaks with Sask Wanderer about Mankota’s high-grade helium plant in Saskatchewan. 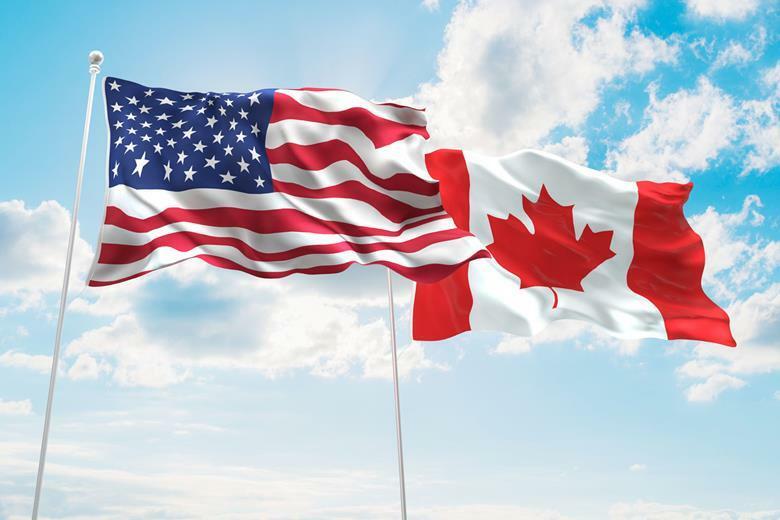 An approaching squeeze in U.S. helium supplies has producers of the gas, used in everything from party balloons to magnetic resonance imaging (MRI) machines, looking north to Canada’s wheat fields. Almost three quarters of U.S. helium demand is filled by an underground reserve in Amarillo, Texas. But the U.S. government, which controls it, has announced plans to get out of the commercial helium business by 2021. That has prompted refiners and customers to look further afield, taking them to the Canadian provinces of Saskatchewan and Alberta. In April, Virginia-based Weil Group Resources opened Canada’s only high-grade helium plant near the village of Mankota, Saskatchewan, population 211. The $10 million project provided welcome economic activity in a province hit hard by the oil price crash. The plant, which can produce 40 million cubic feet per year for Germany industrial gas company Linde AG and other buyers, will be followed soon by a plant in Alberta, according to Weil. “I believe southwest Saskatchewan (and) southeast Alberta to be prolific future helium producers,” said Bo Sears, president of Weil Helium. Helium, a $4.7 billion industry according to Mordor Intelligence, is a byproduct of natural gas production. 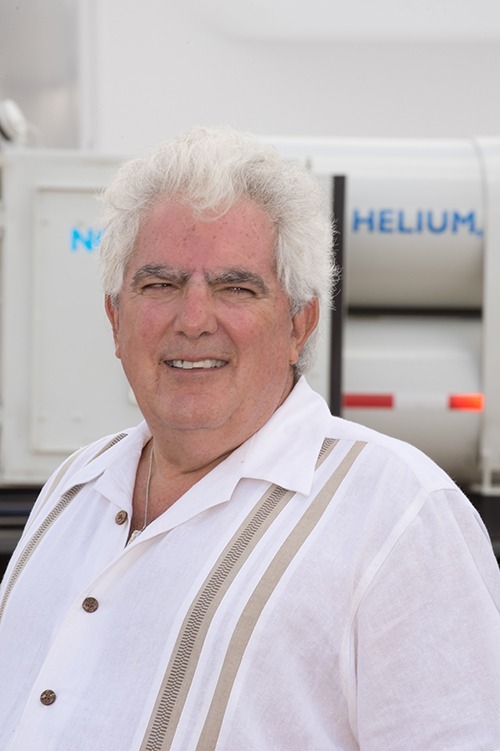 But because of high prices, small players are exploring fields of helium-bearing gas once considered too expensive to exploit, said helium consultant Phil Kornbluth. 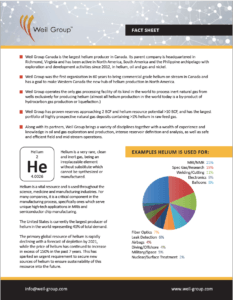 Canada has the fifth-largest global helium resource as measured by the U.S. Geological Survey. Saskatchewan issued 17 permits and leases from 2014 to January 2016 for helium, its busiest period in 50 years, according to government records reviewed by Reuters. “There’s some optimism that this could grow to be a pretty good opportunity,” said Saskatchewan Economy Minister Bill Boyd. Quantum Helium Management, which opened a lower-grade helium plant in Saskatchewan in 2013, is planning to build two more plants within two years in Saskatchewan and Alberta, said president Ovi Marin. Production outages contributed to a three-year shortage of helium until late 2013. Supplies are currently ample, partly because of new output from Qatar. Exploration firm Helium One also plans to tap new resources in Tanzania. But prices of helium from the reserve managed by the U.S. Bureau of Land Management (BLM) are 84 percent higher than a decade ago, and the wind-down is forcing refiners Praxair Inc , Air Products and Chemicals Inc to look elsewhere for future supply, Kornbluth said. The trend has Western Digital Corp, which uses helium in its hard drives, adding suppliers in more countries including Canada and maintaining a six-month supply buffer, said vice-president of product marketing Brendan Collins. Tightening supplies may encourage helium users to substitute other gases or recycle helium, as they did during the last major shortage. General Electric Healthcare, which uses helium to cool magnets in MRI machines, is finding ways to capture helium during manufacturing for reuse and redesigning magnets so they are less dependent on the gas, said spokeswoman Amanda Gintoft. It is also counting on new sources coming online. “Our helium supply is a strategic priority,” she said. Read the Linde Group 2016 Annual Report including the Weil Group profile. Calgary based Fire Creek Resources Ltd. serves as Weil Group’s partner in providing a full spectrum of petroleum engineering, project management and field development services. Fire Creek has extensive international experience, managing projects in over 20 countries and bringing projects on stream in the most challenging of circumstances. The group’s reservoir modeling and analysis skills and software tools lay the foundation for Weil’s helium project development. Linde is a leading industrial gas company, with over 60,000 employees and in 100 countries worldwide. Weil Group collaborates with two of Linde’s principle divisions – its Engineering Group, out of Munich and its Gas Distribution group, in New Jersey, USA. Linde Engineering and Weil worked together to commission its first Membrane – Pressure Swing Adsorption helium purification facility. The plant is the first of its kind in the world, and reinforces Linde’s leadership role in creative solutions in the gas separation and midstream arena. The U.S. based Linde Gas division is among the larger gas distribution companies in the world, and purchases ‘Grade A’ pure helium from Weil.